Chance Leith one of the few Myrtle Beach Natives, currently resides with his family in the Carolina Forest area. 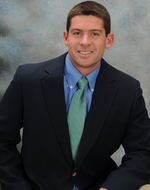 With an extensive background in Sales and Marketing, Chance began pursuit in a Real Estate career in January of 2012. With much success early on, he became extremely knowledgable and efficient in the housing and oceanfront condominium market. Chances strives to give nothing but excellent service to each client that he comes across. He practices professionalism and is extremely self motivated. Through his marketing strategies, Chance has gained much trust with his current clients, as well as potenial clients. Whether you are buying, selling or just need answers to your Real Estate questions, contact Chance Leith.